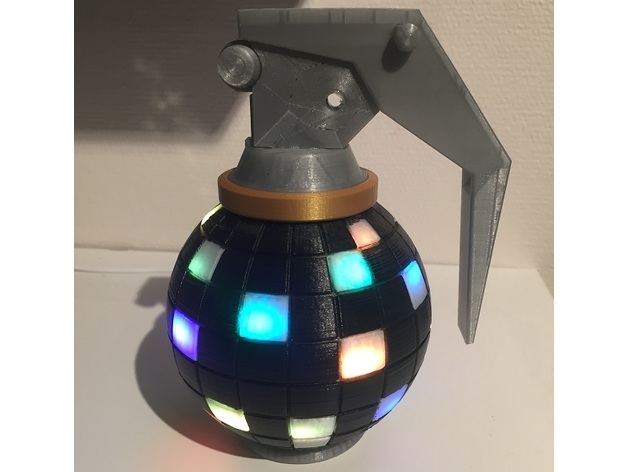 This is a remix of just the bottom of RayGunProject BoogieBomb. This bottom is stripped for everything, leaving just the Arduino Nano and the LED’s. It also features a slot for JST plug so it can be powered from a PSU. I also left the code if you want to only use LED and not speaker and such. In the top of the code, change to how many LED your bomb is using.